Sarah Ross is on the hunt for potato lovers. Fancy yourself a potato connoisseur? The Massey University Food Experience and Sensory Testing Lab (FEAST), and Plant & Food Research, are looking for potato eaters to participate in a potato flavour sensory trial in Palmerston North next month. 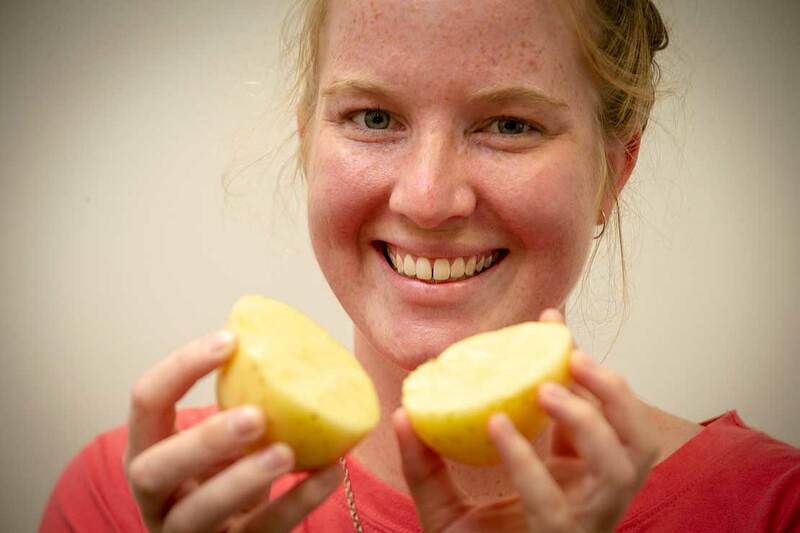 The project, being run by Masters student Sarah Ross, requires 120 potato lovers to come in for two one-hour sessions and provide feedback on the flavour of cooked potatoes. Although the project is targeting gourmet potato consumers, all potato lovers, between the ages of 18 and 65, are invited to take part. Miss Ross says although a lot of dedicated potato fans have been in contact, many more are still needed. The trial is being run during the day at Massey University’s Manawatū campus from the 9 -12 April 2019. Participants will also receive a small token of appreciation for their time. If you are interested email Sarah Ross.